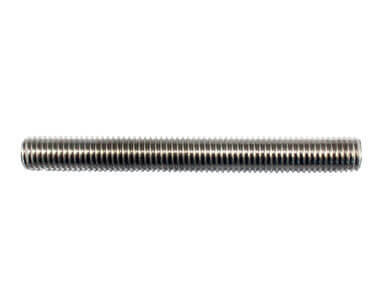 Nickel Alloy tie rod, Titanium Gr.2 tie bar, Hastelloy B3 Threaded Studs, Screws, Drywall Screw, Chipboard Screw, Concrete Screw Supplier & Exporter in India. Asiad Steels is one of the known suppliers of SS Stud Bolts, which is much-admired in several manufacturing applications because of its flawless finish. A look at present day’s automobile industry will allow a person to know how these Monel Double End Studsin the market has provided them the more durable, trust worthy and light weight fasteners making the automobiles stronger and faster, and still light in weight than ever before. We offer the same in different grades such as Stainless Steel 304 / 304H / 304L Stud Bolts, Duplex Steel Stud Bolts, Super Duplex Steel Stud Bolts. The accomplishment behind the rising demand of Hastelloy Tie Bars in the market is everything that is being emerging these days. While looking around, one may perhaps simply witness that, everything is stable and purchased together merely for the reason of these Titanium Tie Rods. Our strict quality controls make sure to give perfect quality. Our reluctant integration permits us to produce the precise quality of these Nickel Double End Studs, as essential by the clienteles. The raw material for the complete product array of Alloy 20 Threaded Rods is made from our reliable specialists who work according to the set manufacturing specifications. We provide a widespread range of this Aluminium Threaded Rods that is obtainable in dissimilar dimensions and sizes. Buy Cupro-Nickel Bolts in market leading price from us. Also, our comprehensive product array is made-to-order according to the specifications of our customers. DIN, ASTM, BS Studs, Stainless Steel threaded rod, Duplex & Super Duplex Steel stud bolts, Alloy Steel double ended stud, Stud Manufacturer & Stockist in Mumbai, India. We are Exporter of Studs in Worldwide Such as India, Denmark, Morocco, Tibet, Indonesia, Bolivia, China, Bahrain, Brazil, Mexico, France, Namibia, Thailand, Algeria, Mexico, India, Pakistan, Iran, Belgium, Jordan, Trinidad & Tobago,Tunisia, Argentina, Qatar, Taiwan, Gabon, Angola, Venezuela, Netherlands, Australia, Slovakia, Belarus, Philippines, New Zealand, Czech Republic, Peru, Egypt, United Arab Emirates, Germany, Hong Kong, Romania, Kazakhstan, Zimbabwe, Oman, Poland, Sweden, Ukraine, Bulgaria, Macau, Croatia, Gambia, Spain, Italy, Turkey, Nepal, Lebanon, Saudi Arabia, Austria, Finland, Chile, South Korea, Nigeria, Ecuador, Nigeria, Russia, Costa Rica, Bhutan, Portugal, Ireland, Japan, Iraq, Lithuania, South Africa, United States, Colombia, Iran, Greece, Israel, United Kingdom, Libya, Azerbaijan, Vietnam, Estonia, Chile, Poland, Singapore, Canada, Yemen, Serbia, Kenya, Kuwait, Hungary, Malaysia, Ghana, Sri Lanka, Norway, Puerto Rico, Switzerland, Afghanistan, Mongolia, Bangladesh. We are Suppliers of Stud in India Such as Mumbai, Singapore, Rio de Janeiro, Seoul, Tehran, Mumbai, Bogota, Riyadh, Port-of-Spain, Busan, Ahmedabad, Madrid, Vung Tau, Ahvaz, Petaling Jaya, Ho Chi Minh City, Jamshedpur, Haryana, Toronto, Algiers, Granada, Geoje-si, Noida, Abu Dhabi, Thiruvananthapuram, Sydney, New York, Courbevoie, Cairo, London, Dammam, Doha, Muscat, Karachi, Edmonton, Chandigarh, Chiyoda, Hanoi, Al Khobar, Sharjah, Jakarta, Calgary, Montreal, Dallas, Dubai, Los Angeles, Atyrau, Aberdeen, Istanbul, Faridabad, Lagos, Manama, Ankara, Hyderabad, Houston, Hong Kong, Kolkata, Bangkok, Gimhae-si, Mexico City, Ernakulam, Bengaluru, Indore, Vadodara, Moscow, Pune, Ludhiana, Al Jubail, Bhopal, Coimbatore, Gurgaon, Lahore, Jaipur, Melbourne, Surat, Kuala Lumpur, Baroda, Pimpri-Chinchwad, Nagpur, Milan, Ulsan, Kuwait City, Brisbane, Chennai, Jeddah, Secunderabad, Rajkot, New Delhi, Caracas, Navi Mumbai, Perth, Howrah, Ranchi, Visakhapatnam, Colombo, Santiago, Thane, La Victoria, Kanpur, Nashik.